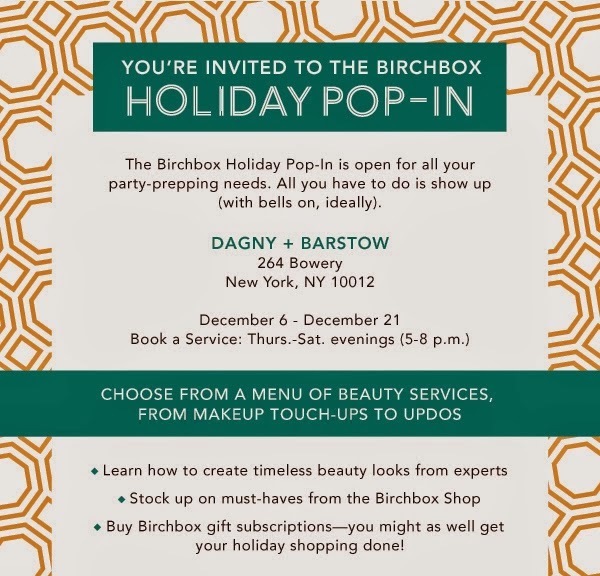 Get all your holiday shopping done at the "Birchbox Holiday Pop-In" at Dagny + Barstow! 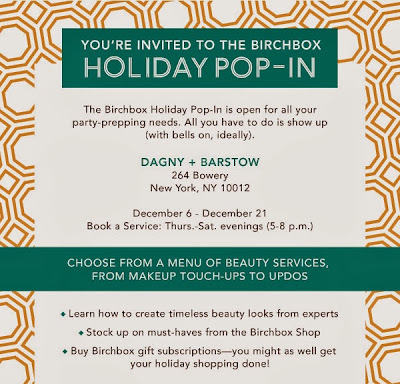 The "Birchbox" Holiday Pop-In" store features a curated selection of products from the Birchbox online shop including best-selling products from prestige brands such as Jouer, Stila, and Serge Normant as well as subscriptions for sale. The shop is open from Friday, December 6th through Saturday, December 21st. On evenings each weekend, customers can get their perfect party look with glam updos, makeup touch-ups, nail art and everything in between, starting at just $20. Reserve your spot here.